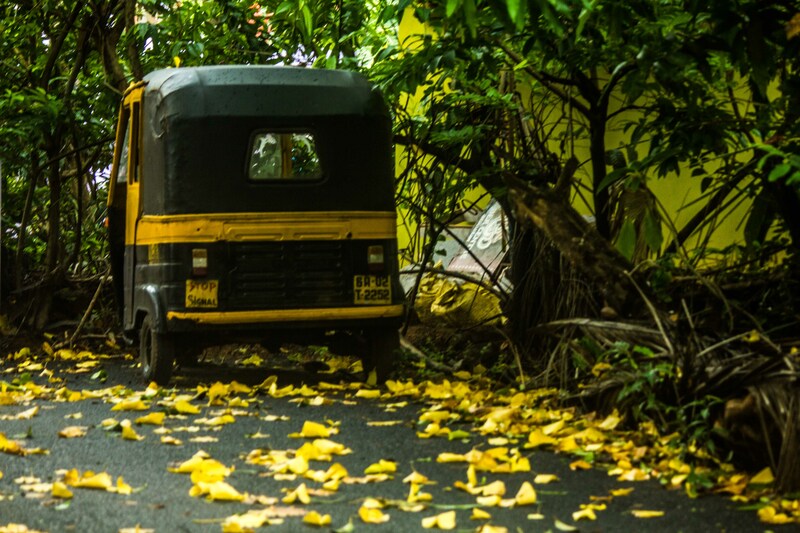 Travel, Adventure and Living… – a photo journey…. Island Hunting for where to spend our 10th Wedding Anniversary. That it was going to be the Maldives was a no brainer but which Island in the Maldives??? One that we’ve loved and returned to frequently or some place entirely new? A known devil or an unknown devil? After days and weeks of pondering I decided to take the plunge and book a newly opened resort. Velaa Private Island. What drew me to this island? Well, for starters the size. Fifty acres and only 45 villas. At any point in time, there could not be more than maybe 120 guest on 50 acres of land… Right up my street. The second was thing was that they were more than happy to cater to my dietary restrictions (which is not easy my diet is gluten, starch, and sugar free 😦 ). And, I must say, they did an outstanding job of that. Pool and beach by day. We had a standard villa. It was the only one in our budget and was more than super luxurious! Beautifully appointed rooms with the highest standard of everything in the room. I was particularly fascinated by the sliding mechanism on the cupboards and doors 🙂 . The pantry had everything you could need and if anything was missing they were more than happy to stock up your fridge. We were welcomed with champagne and fresh Fruits in our villa. Every evening there was a little something left for us in case we got the munchies later. A cheese platter, Brownies, Maccaroons, always a welcome surprise. The Island it self has so many areas for you to spend time in that you never really see too many people around. Theres the pool bar and restaurant Avi Bar. Then the 24 hour dining space Athiri. Stunning fine dining restaurant Argue Signature Restaurant. A Japanese restaurant Tavaru. And, the beautiful Champagne sunset bar Cru Champagne Lounge. Sundowners with our feet in the water. Feels like your private beach. I usually tell people that they must go to the Maldives for the beaches and not the food. Velaa made me change my opinion about that 🙂 . Tavern redefined steaks for me. Cocktails made with Sugar free. Gluten, starch and sugar free cake for me. The finest food I have eaten in the Maldives and comparable with fine dining anywhere else in the world. They also have one of the best Wine Cellars in the Maldives. You must take a tour of it. The best holidays are those where you return with happy memories and lifelong friends. Happy smiling people who go out of their way to your day prefect. They certainly made our a holiday we will never forget. It would have been another lovely holiday in the Maldives had it not been for Gaish, Lyn, Gayan, Jamma at Avi Bar, for Gloria and Breat at Athiri, for MJ, Tracy and Rachna at the Clarins Spa and for Shouaib our personal butler who was always a phone call away for anything that we wanted. Last but not the least Sunny Chuang Director F&B and Waheed made this holiday what it was for us. Special. With multiple food allergies, he made sure whatever I wanted was tailored to suit me. Nothing was too much. We had the pleasure of spending two evenings with him and shared many stories, our love for food and plenty of laughs together. We look forward to seeing him in our home soon. Thank You my friends and Thank you Velaa. We look forward to returning soon 🙂 . Bought a bottle of Taittinger from a popular Deli only to find out it’s corked – buying booze from anywhere other than tried and trusted dealers is a no-no in this country. While unpleasant to drink, it seems such a waste to go down the drain. So onto the dinner table it goes. More aromatic and floral than the one dimensional wine sauce, it compliments the delicate morel very well. A bit of fresh sage from the garden and the best cream available, toss with fresh pasta and the fancy dish is ready to impress. Located in an exceptional area between the Champs-Élysées and Faubourg St-Honoré,I discovered the charm of an authentic Haussman-style hotel. Haussman was appointed by Napoleon III to give Paris a new look and create space in the cluttered city. Haussmann and his team of architects constructed a unifying architectural façade that changed the shape of Paris. As well as coating the city with a unifying style, they also constructed new public buildings, such as L’Opéra , as well as many other buildings. This is what Bradford Elyseés offers its guest. Parisian charm and lots of space. 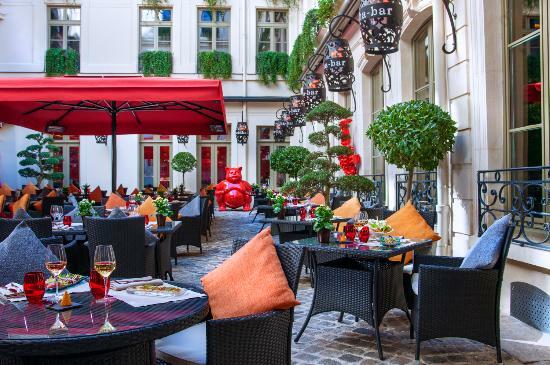 At the corner of the Faubourg Saint-Honoré, on Rue d’Anjou, you will tucked away the beautiful Buddha Bar Hotel- Paris. A fusion of classical French architecture blends with swish oriental design to transport you to world of the Buddha Bar legend. You are welcomed by the red glow of chinese lanterns that lead to the reception and out into the courtyard too. Check in swift and w are taken to our lovely room with a sloping roof and big windows looking out onto the court yard. We were there in August 2014 and the weather was warm but the air conditioning was superb!